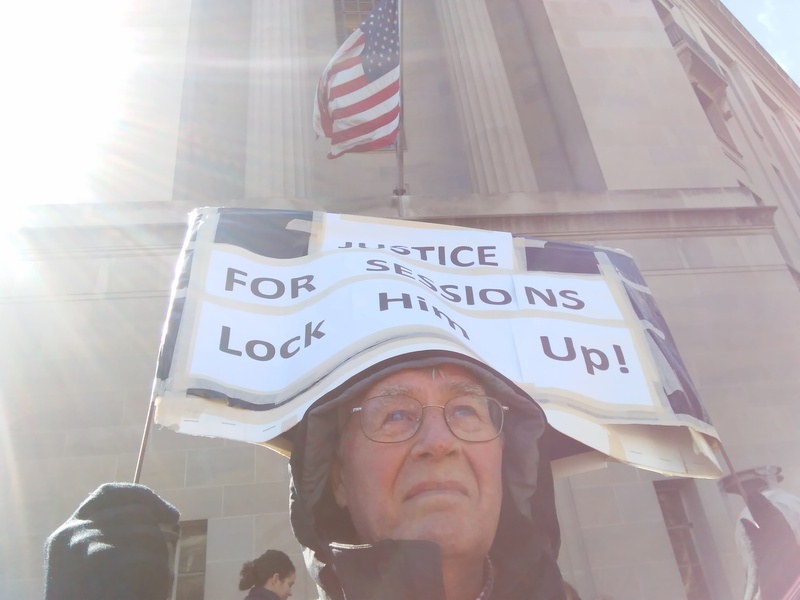 Liberal activists and members of the Democratic Party protested outside of the Department of Justice Thursday afternoon, demanding Attorney General Jeff Sessions’ resignation. 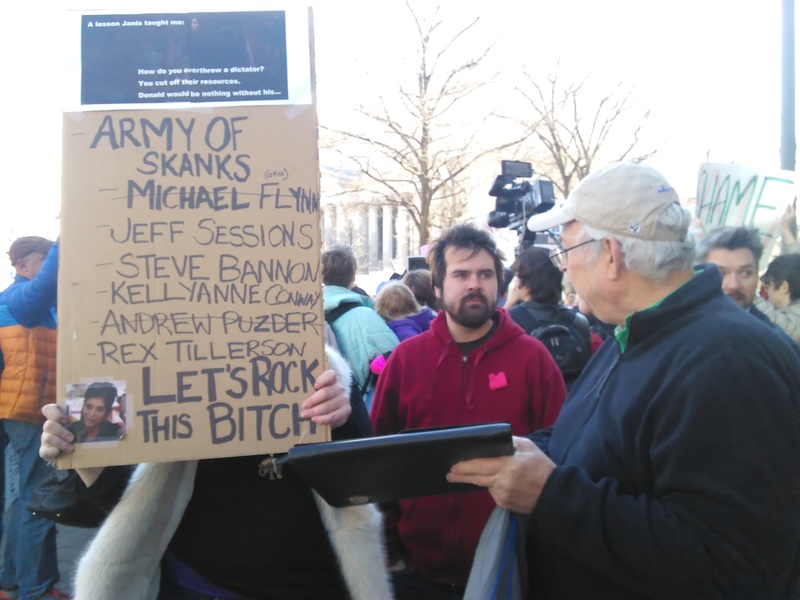 “False testimony counters any right you have to remain Attorney General of the United States of America,” Texas Democratic Rep. Sheila Jackson Lee said of Sessions to the 200 or so protesters gathered outside the building on Pennsylvania Avenue in Washington, D.C.
Jackson Lee said she and others in Congress will send a letter to President Trump, “asking him to seek the resignation of his attorney general, or to fire him on the spot” if he doesn’t step down. The activists also demanded that a successor appoint a special prosecutor to oversee an investigation into potential Russian interference with the 2016 presidential election. 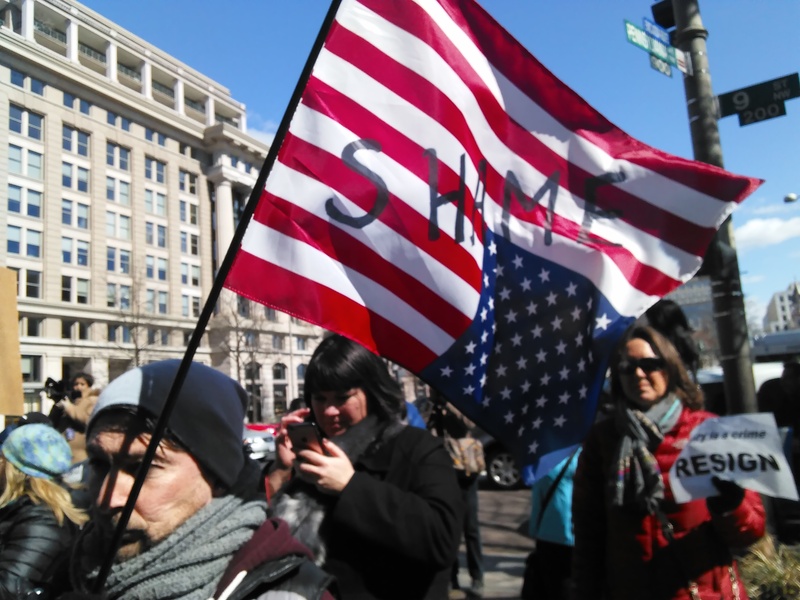 “The Trump administration has a staff infection,” Democratic Maryland Rep. Jamie Raskin told the crowd. “They say he should recuse himself, we say resign,” he continued. 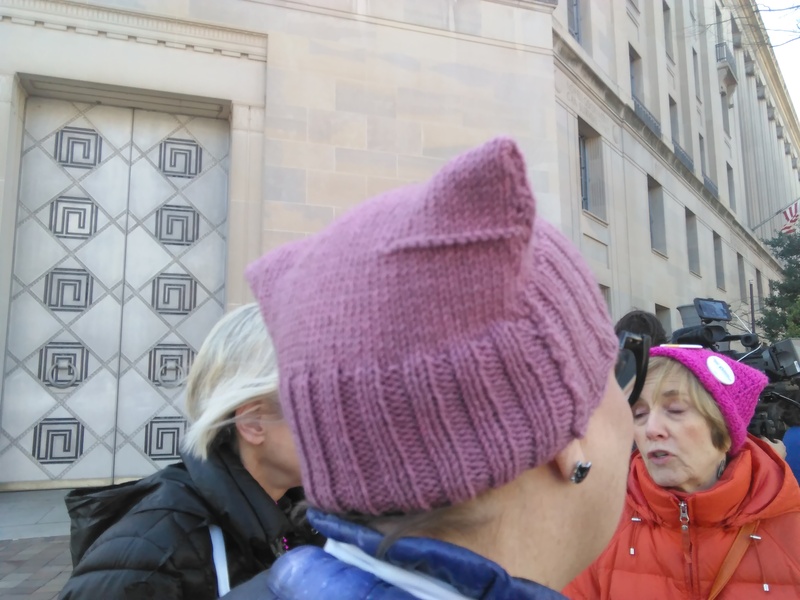 “There will be a legal, nonviolent demonstration outside the Department of Justice at 12:00 p.m. today,” an email from the rapid response team of the Democratic National Committee said shortly before 11:00 a.m. ET Thursday. “Jeff Sessions cannot oversee the investigation into the Trump administration’s ties to Russia,” the email asserted. “But recusing himself from the investigation is no longer enough — Sessions must resign as Attorney General,” the email continued. Sessions is under intense scrutiny after news emerged the former senator met twice with Russian Ambassador Sergey Kislyak during the fall, just months before the November elections. While it is not unusual for a senator to meet with foreign ambassadors, the attorney general did not disclose the interactions during his Senate confirmation hearing earlier this year.